Not a Disney Vacation Club Member? Not a Problem! Have you ever wondered what being a Disney Vacation Club member would be like? Have you ever thought that staying in one of Disney’s Villas would so much nicer than cramming five family members into one room (or a larger party into multiple rooms)? Do you just not have the money that it takes to become a DVC member? If you answered yes to any of these questions, keep reading, because I have a deal for you! 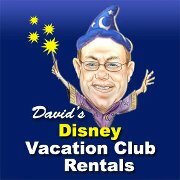 Ok, I don’t have a deal, but David over at David’s Disney Vacation Club Rentals sure does! While researching our upcoming trip to Aulani, I soon realized that a regular hotel room just wasn’t going to cut it for our family of five. With three small boys, we were definitely going to need more room to spread out. During one of my marathon Disney planning sessions, I stumbled upon a site called David’s Disney Vacation Club Rentals that specializes in matching unused Disney Vacation Points with non- Disney Vacation Club Members. It just so happened that a fellow writer, Nick the Disney Devo, knows some people over David’s Disney Vacation Club Rentals, so I was able to get an interview with them to share with you how everything works! What exactly is David’s Disney Vacation Club Rental? David’s Disney Vacation Club Rentals is an Intermediary who facilitates guests looking to stay on DVC property who do not own points and connects them with Members that cannot use their points. We assist Members in booking reservations for guests from all over the world to stay at various Disney Vacation Club Rentals. Tell me about your Disney experiences and why you wanted to start a site like this. It was through the love of Disney that this site was born. My family started visiting Disney on an annual basis and were booking their reservations through cash reservations. As you can assume, the cost became very high to continue to book directly through Disney, but my parents (David and Cathy) loved the treatment that they received at the resorts. They decided on one of their trips to buy into the Disney Vacation Club. My father has always had the heart of an entrepreneur, and through the use of his own points and potentially needing more points the idea was then born to provide a service where people who needed points could rent them for stays at Disney Vacation Club Resorts. To this day my parent visit Disney 6-7 times per year. Could you walk me through the steps of how to rent through David’s Disney Vacation Club Rental? 1. Decide when and where you want to stay. If you would like some assistance with how far out you should be securing your reservation, click here. If you need help calculating the points necessary for your vacation, use my on-line points calculator. Once you determine the amount of points required, multiply that by the price per point which is currently $13.00, or place your mouse over the result to see the total. Note: My operations are in Canada. Recently, some U.S. credit card issuers have been charging their customers a cross border transaction fee. We have been told that Capital One MasterCard does not charge a cross border transaction fee. You should always check with your card issuer for current policy. Quick note: The minimum rental is USUALLY 44 points. Occasionally, I may have a few fragmented points left over from a contract in which case I may be able to do a two or three night stay. Single night stays are not available. 2. Complete the on-line reservation form including all details of your traveling party, room/resort choices, dates of travel and submit with a partial payment of $91.00 (which will be applied towards your successful reservation) by Visa, MasterCard or PayPal. The partial payment is returned to you if your reservation can not be secured, or applied towards the balance owing if a reservation is secured. We can usually secure reservations within 24 hours (weekends and holidays excluded). A confirmation number will be sent to you if one of your requests is available. You will be able to go online and view your full reservation details. Complete the online payment form and process the balance of payment (due in full on receipt of confirmation). I accept Visa and Mastercard as well as PayPal with no additional processing fees. All payment transactions are GUARANTEED. If your request can not be fulfilled, you will be given the opportunity to book available rooms/resorts. If they are not satisfactory to you, your $91.00 partial payment is refunded. Please note: As per my agreement with the member whose points we used for your reservation, I am required to provide them payment the day the reservation is made. 3. A completed rental agreement will be e-mailed to you. You are required to agree to the rental agreement and return it via e-mail. A sample copy is located here. 4. You’ll have access to Disney’s online check-in service. You may begin accessing Disney’s Online Check-In Service immediately to view your reservation details and 10 days prior to your scheduled arrival date, you will be able to pre check-in, add room requests and enter information about special occasions you are celebrating during your visit. Upon arrival, Key to the World cards and other registration materials will be waiting for you at a special welcome location where Cast Members will be available to provide additional information and answer questions. Please note that this service does not guarantee Guest rooms will be ready upon arrival at the resort. Rooms will continue to be available at standard check-in time of 4 p.m.
David;s does not sell tickets directly, but these can be purchased directly through Disney and then added onto your Key to the World Card. How far in advance should I try to book my rental? Can you get last minute deals? Due to the limited amount of inventory DVC offers (much smaller than Disney Central Reservations) many of the resorts that are located near the theme parks typically book 9-11 month in advance. The other resorts, such as Wilderness Lodge and Animal Kingdom, book 6-8 months in advance. Old Key West and Saratoga Springs typically only book 3 months in advance. However, Saratoga Springs usually continues to offer availability for last minute travel dates due to the size of the property. Diva Tip: Subscribe to the David’s Disney Vacation Club News Letter to get info on these deals when they come out! What are your prices compared to booking a regular resort room or multiple rooms to fit a larger party? Depending on the season and the specials that Disney offers, we usually see a savings of 15%-35%. We always advise our guests to compare pricing between Disney and DVC for the same room types at deluxe villas so to get a good understanding of the cost. What if I have DVC points that I can’t use? If you have DVC points and cannot use them, we could assist you in renting out those points. Here is a link to the Members area of my website where you can find all of the details associated with the program. Though in the end, I was unable to book our room using David’s Disney Vacation Club Rental (we had only a narrow window of time for our trip and just couldn’t get the dates we needed this time), this is something that we will use again when we have a little more flexibility. The people that work for David are wonderful and very helpful! Head on over to their site and check out all the great info there! Should I buy into Disney Vacation Club? Disney’s Beach Club or Yacht Club – Which Resort is Right for You? 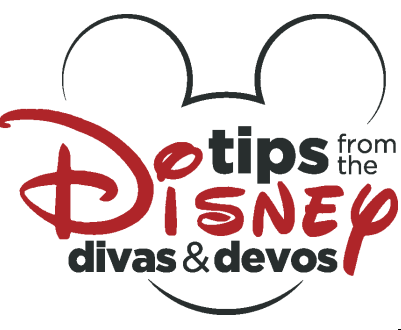 Kristin is the founder and co-director of Tips from the Disney Diva & Devos. She started writing the blog when she realized there were many people going to Disney World and having a miserable time, and it was all from a lack of planning. She knew that she could help and has assembled the finest writing team she can find ! Glad this article could help. I can’t wait to have another chance to use David’s site!